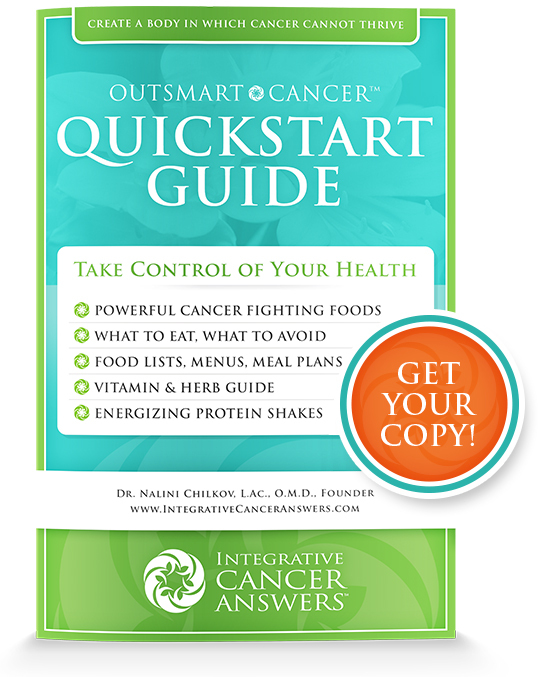 Integrative Cancer Answers is the fruit of Dr. Nalini Chilkov’s thirty years of experience transforming the cancer journey for thousands of patients worldwide. Her OutSmart Cancer Plans are recognized as the most comprehensive, safe and effective doctor-designed programs available today. Dr. Nalini Chilkov’s programs are masterful. You will feel empowered by her toolbox of natural medicines, as well as diet and lifestyle guidelines that are at the root of cancer prevention, cancer recovery and a long and healthy life. Dr. Nalini Chilkov is an invaluable resource for creating a plan for health in the midst of the challenges and complexities of cancer diagnosis, cancer treatment and recovery and investing in the health side of the equation.